Pat Fahey has been appointed to serve on the RCC Board of Education through June 30, 2019. Pat Fahey was sworn in Monday, Oct. 1 to the Zone 2 seat on the Rogue Community College (RCC) Board of Education. The Board appointed Fahey on an interim basis in place of Dean Wendle, who retired in July. Fahey has already served RCC as an advisory committee member during the annexation of Jackson County into the college district in 1996. “If I can bring some historical perspective, some financial wisdom to the board, that would be what I hope to do,” Fahey said. Pat Fahey is a Grants Pass native and graduate of Grants Pass High School. Although he earned an accounting degree from Southern Oregon University, Pat refers to himself as a “garbage man by birth and by choice.” He’s the second generation in his family business, Southern Oregon Sanitation, a waste disposal company founded in 1948 and now serving more than 25,000 customers in Josephine, Jackson and Douglas counties. Starting in 1981, Pat worked his way from container washer and route driver to operations manager until he became general manager in 2001, a position he held for the next 15 years. He retired in 2016, but retirement didn’t “take” for him, so later that year he purchased Sutherlin Sanitary Service where he now works as general manager. Pat has worked on behalf of his community for decades. He’s been a member of Grants Pass Rotary since 1987. He was Troop Scout Master from 1993-2002. 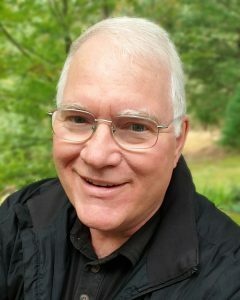 He has served on the Rogue Community College advisory board, Grants Pass School Board finance committee, Three Rivers Community Hospital Foundation board, Josephine Community Libraries board, and Josephine County budget committee. In nearly all of these, he has served in leadership positions. He currently sits on the boards of Southern Oregon Regional Economic Development, Inc. and the Josephine County Library Foundation. Zone 2 of the RCC District is generally the area of Josephine County south of the Rogue River, but there are some variances. For specific boundaries of Zone 2, please contact the Josephine County Elections office at 541-474-5240. Fahey will serve through June 30 of next year. He has the option to run in the next regular district election in May 2019 when the voters in Zone 2 will decide who will fill the remainder of Wendle’s four-year term, which lasts through June 2021.